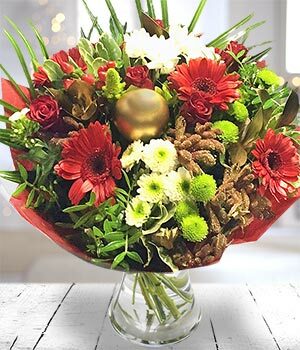 Warm their heart with this heavenly bouquet of stunning red and green blooms. Spray chrysanthemum, hypericum, gerbera and seasonal foliage mingle to create a beautiful and unusual arrangement. Lovingly hand crated then carefully packed in a specially designed flower box.